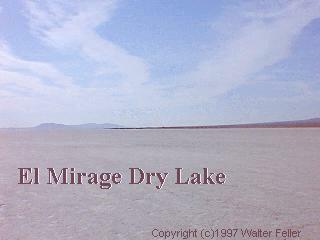 El Mirage dry lake, located west of Adelanto, is the grand-daddy of the movie dry lakes. Countless commercials, movies, and TV shows have been shot there. The lake bed has become popular with the OHV and land yacht crowd.